Jovees is a brand that has gained popularity in the recent years. Any product by them is a careful selection of a number of fruits and herbs, each with their own different medicinal and beauty properties. which I started using a couple of months ago. Let’s see how the product fared for me. 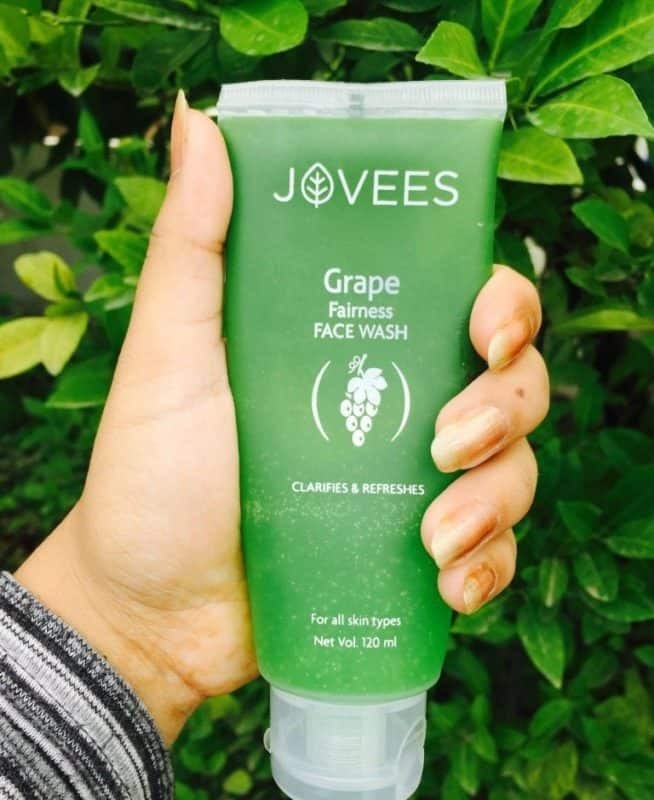 This is a face wash with grape extracts that focuses on achieving fair and glowy skin. This well-formulated face wash with extraordinary emollient, antioxidant properties produced scientifically contains herbs with natural vitamin E which deep cleanses the skin, makes skin glow and visibly fairer. It also helps in mitigating fine lines and gives skin fairer and even toned look. 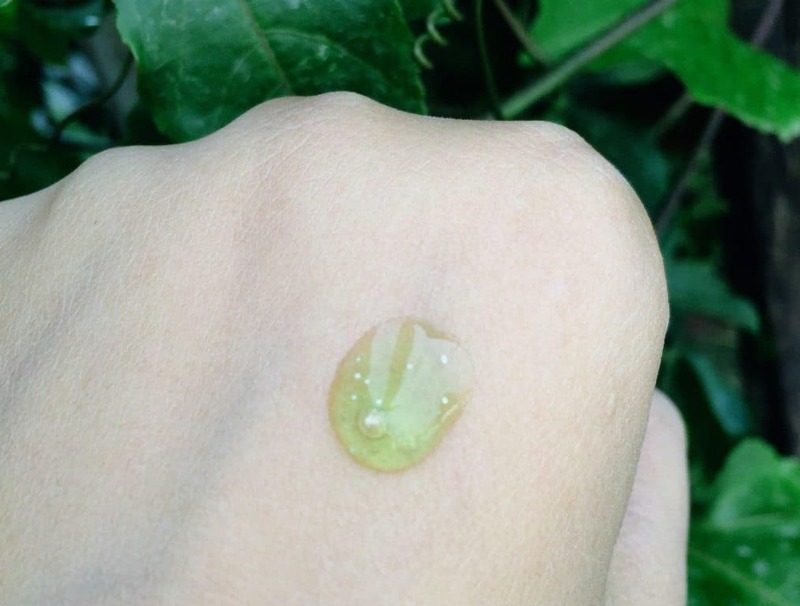 Moisten face .squeeze out a small amount on your palm. Massage gently on the face and neck. Rinse well and pat dry. The full list of ingredients isn’t mentioned. Packing – The product comes in a tube which is not semi-transparent and opaque. You can see the contents inside in a blurry state. You can still make out how much product inside is still remaining. The cap is a flip top one and closes tightly enough. Travel-friendly and good to carry around. Texture and Consistency – It has a gel consistency which is neither too thick nor too watery. 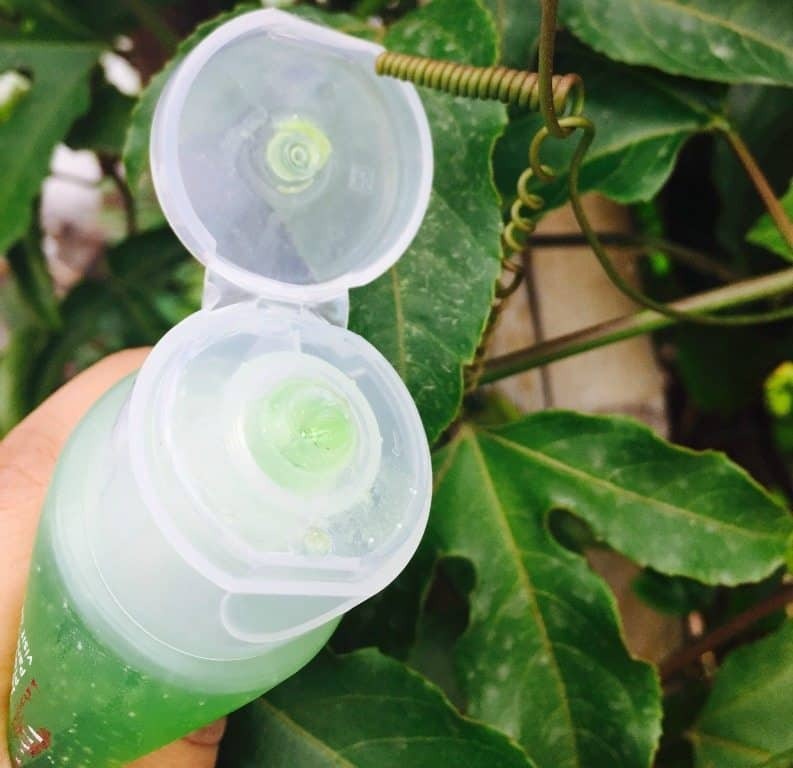 It has small bead-like particles inside which make the product look really attractive and provide mild scrubbing. Fragrance – The product has a strong fragrance that doesn’t linger on thought once you are through with washing your face. It has an aftershave smell or rather it smells like a men’s deo does. If I talk about the product’s performance, it doesn’t create much lather but that doesn’t mean it doesn’t clean well. Sometimes when I wash my face directly with it without wiping off my makeup it fails to create any lather at all on the first go. So you might want to take a little bit extra in order to tackle that makeup. 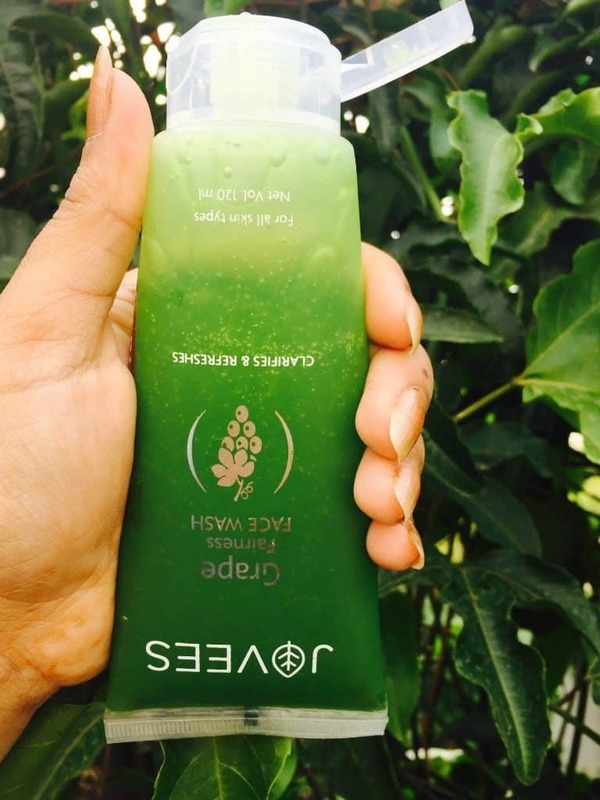 Leaves skin fairly clean and doesn’t make the skin dry or dehydrated. Doesn’t really give the skin a fair look- neither immediately nor after a few washes. Does a decent job at cleaning though. If you are looking for a good everyday face wash this one might work for you.I would however rather not repurchase it (I think one tube was enough usage) as I have seen better face washes which do fulfill the fairness claim. tanushree to be honest it was the very reason why i bought this facewash. 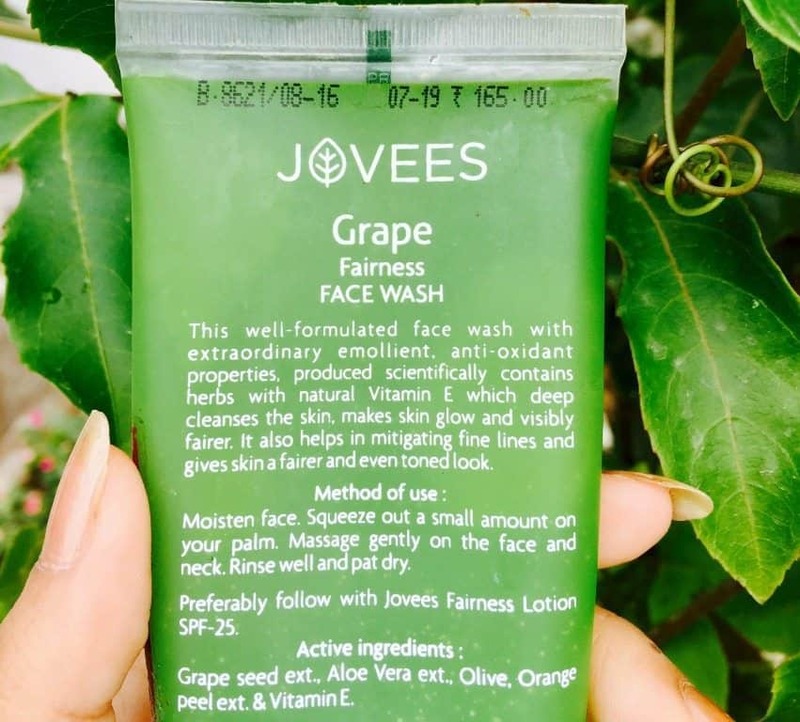 i had also never come across any grape facewash before !!!! YES AMEYA , feels fresh too 🙂 you must try it out !